Even though the Jedi were wiped out once, there are those that still follow the Light Side of the Force. They're those that use the Force for knowledge and clarity, meditation and peaceful resolution to issues. If you're wanting to play that type of character in the Star Wars RPG, Fantasy Flight Games has a sourcebook that should interest you. It's called Disciples of Harmony. 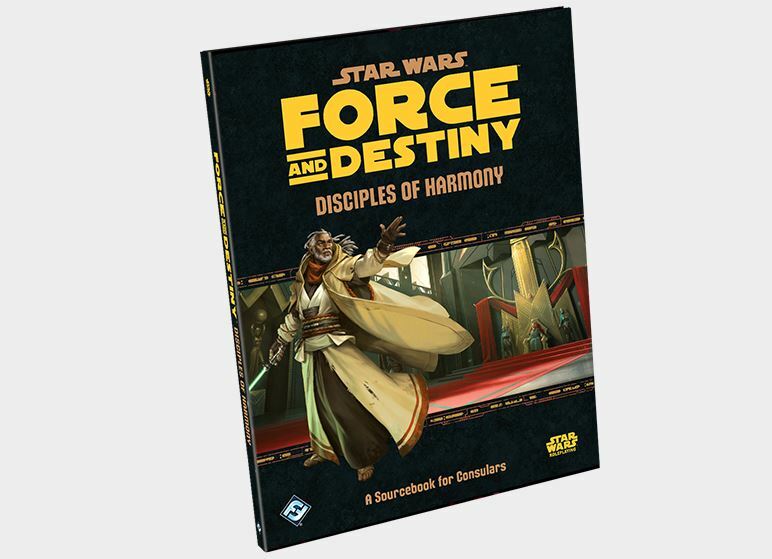 The rise of the Empire and the absence of the Jedi Order may have caused the Jedi Knights to fade into the ashes of history, but there are still those who know the truth, who refuse to allow the Jedi to become the stuff of legend and myth.Disciples of Harmony is a sourcebook for Consular characters in Star Wars: Force and Destiny, offering players new insights into the path of the Consular, introducing three new specializations, and making available new equipment and Force powers.